It is no secret that the Packers are looking to upgrade the kicking game as the 2007 season gets near. They may look to do that with former Minnesota Vikings punter Mitch Berger, who is trying to fight his way back into the NFL. 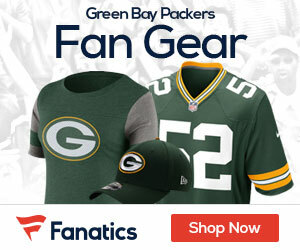 PackersNews.com is reporting that Berger, who is a two time Pro Bowl selection, planned to talk to a few teams, with Green Bay being at the top of the list. Berger did not punt at all last season, as he was trying to recover from a pelvic injury. He was waived by the Saints this past offseason. The majority of his 13-year career he was in purple up in Minnesota, where he punted in the confines of the HHH Dome for the Vikings. He has a career gross average of 43.7 and net of 38.6. Jon Ryan was the Packers punter a season ago, and he ranked 9th in the NFL in gross punting average at 44.5 yards per punt. He was on the lower end though, 26th in net average at 35.7 yards per kick. His hang times were his issues, and Packers coach Mike McCarthy has already stated he wants to see more out of the teams kickers this year.